To an old(ish) man like me, seeing the cover shot of Victoria Ginty, brought back happy and hormonal memories of the Mary Tyler Moore show (Samantha in Bewitched too, thinking about it! )…that has nothing to do with the music, just my mind and I apologise now for that and for the delay in getting this review on line! However, let me assure you it was worth the wait, as Victoria and her band Ladyhawke deliver eleven tracks of solid and soulful blues on this latest release, Unfinished Business. They do mix the styles occasionally with elements of funk, gospel and even a hint of Latin finding their way into the compositions. They have been an item since 2015 and have a live album to their name, but this studio collection of eight originals and three covers brings a new perspective on their prodigious talents. It opens up at full tilt with the blues of the title track, Unfinished Business, which brings hormones into play again as Victoria seems ready to take a relationship a step further. The story is played out over a soundtrack of barrelhouse blues with a great retro sound on the guitar and the horns adding texture. The vocal, spoken and sung, leaves you in no doubt as to the aim of this lady and, after a sax and a neat guitar solo, we don’t really find out if ‘it’ happened…great fun. Take Me Down opens acapella over a field-song type chant, before a funky, upbeat Gospel feel kicks in as Victoria’s vocals are at the best as she pours expression into every word. Hard To Move On was co-written with Grace Lougen, who is a Buffalo native, and is a highly respected blues guitarist. Opening with subtle acoustic with electric slide underpinning the tale. The guitar solo is unusual in that the slide plays a lot on the lower strings rather than reaching for the highest ones all of the time, and that gives it suitable gravitas for this lovely song. You Don’t Love Me No More has lyrics that may resonate uncomfortably for some… the funk and tempo injected into a jaunty song bely the message. A dirty sax solo fits perfectly between verses and then a neat guitar solo adds the necessary depth. The Jimmy McCracklin song, Every Night And Every Day, is next and, in Victoria’s hands, it becomes rather more sultry than the original and puts some superb slow rock into the blues with a great intro underpinned by the Hammond. The feeling is one of Peter Green sung by Victoria as the understated guitar echoes the pain and sentiments of the heartfelt vocals. The whole structure and the superbly played, true blues solo…just the right amount of notes at the right pace with bends and runs to give it even more emotion, make this my favourite by a mile…beautiful. Give It Up follows with R’n’B flavours over a funky guitar ‘back line’. Probably the only (slightly) weak track for me on this fine album as it lacks the individuality of the others and even the fiery guitar solo jars rather than enhances making it a sort of confused soul/funk/rock song. Water was co-written by Grammy-nominated Michael Alan Ward, and has an acoustic start with washes of cymbal before Victoria brings the emotion to the drought her heart is experiencing. The coned trumpet solo is fitting and leads to a tasteful guitar piece with a sensitive sparseness. Sign Your Name, yes that one…it’s a cover of the Terrance Trent D’Arby song but with a chunk of Latin in the instrumentation and cadence of the vocal. It retains the essence of the original and does an imaginative take on a song I never thought much of and, truth be told, still don’t, although they do make it their own and, once again, the understated guitar solo is tremendous. Lying (In Each Other’s Arms) was written by Earl Bud Lee and in Victoria’s hands it is transformed into a well-paced soulful blues with her vocal interpretation suiting the illicit affair story perfectly…so I’m told! Do Me Right ups the pace a little with a blues song that starts with a great drum shuffle, then bass, then guitars and rattles along with Hammond backing before a trumpet solo that fits well and a guitar solo that fits even better. Closing track, The Blues Found Me, is drenched in soul using a well used structure to bring the blues into it too. A brilliant track to close with as the entire band play with restraint to bring the depth demanded of this kind of song, and Victoria is convincing as ever in the story telling as she uses her considerable range to tell us that regardless of circumstances, we are all responsible for our actions…so there! This is a fine album of, mainly, soulful blues sung beautifully and backed with a first rate set of musicians and I doubt any lover of this style of blues would be disappointed with a single track…even the weaker one is still worth listening to and hopefully, considering the delay in my posting this, there is more from this talented lady in the pipeline. From my point of view the album is worth every penny for the eight and a half minutes of Every Night And Every Day alone…if in doubt, listen to that first, be amazed and then buy it. 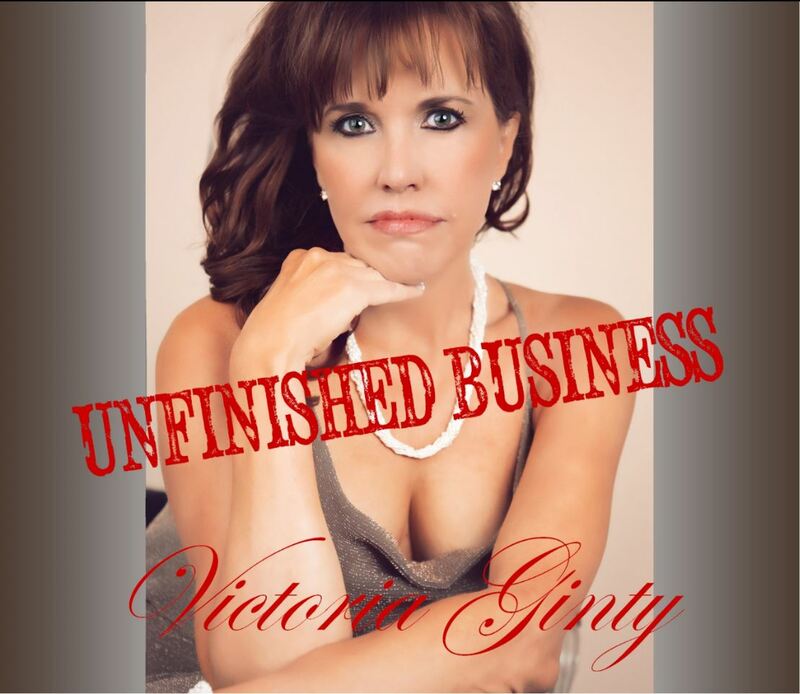 All tracks written by Victoria Ginty and Mike Ivey except where identified. Recorded at GCR Audio Studios in Buffalo.